technology continues to gain a foothold in business. technical features such as Larger Block Size and Shorter Block Times which allow more transactions and faster confirmations. You can convert Bitcore into your local currency fiat at the end of each transaction, at the end of each working day or according to a custom set schedule. Credit card payments usually end up costing you a 2 to 4 percent fee. With Bitcoin, this amount is a low flat fee, not a percentage of the transaction. And with Bitcore, this amount is a low flat fee according to Bitcoin. A Bitcore transaction is immutable. Once a client has paid for a product or service, the money is in your account. Unlike credit card payments, charges cannot be reversed. As Bitcore rises in popularity, more users seek out participating businesses. This can mean exposure to a clientele you didn’t have before. And where Bitcoin goes, other sturdy altcoins are sure to follow. In the near future, accepting cryptocurrency as payment might be standard procedure. Bitcore will be #1 solution for direct payments. Thus, behind the scene we’ve been working hard to help users to do more things with the Bitcore BTX which includes trading and buying things, both completely peer-to-peer. 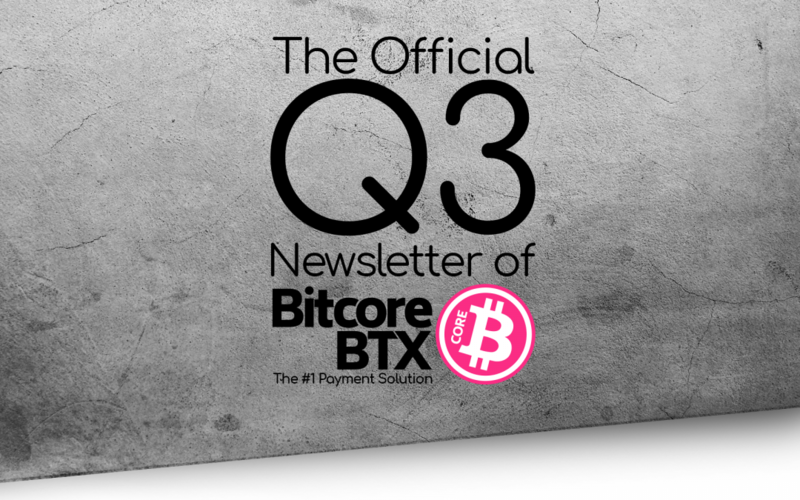 Here, you will find updates on our activities and news from the Bitcore BTX core team along with their plans for Q4 and how these new updates are going to change Bitcore’s future. After intensive work from the whole team, we have released our official Bitcore White Paper. We believe it is on point, focusing both on the technical and ideological fundamentals of the Bitcore project (https://bitcore.cc/white-paper/). 2- Spanish version of White Paper released on 03/09/2018. 3- French version of White Paper released on 14/09/2018. Bitcore publication team works on Turkish version of White Paper and more languages support. Bitcore Core Wallet version 0.15.2.0 has been released which includes a very important security fix for DoS vulnerability, CVE-2018-17144! It is important to keep wallets updated, because this will give you a better security of your BTX. We would highly recommend upgrading as soon as possible. To convert from the old address format to our new address format you can use https://bitcore.cc/btx-converter. 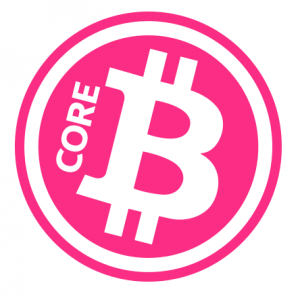 Bitcore Core Wallet version 0.15.1.0 has been released which includes the new format only (new public key support). However, we highly recommend using core 0.15.2.0 due to important security fix. The node seed server is server to transfer available fullnode server. That is the first connection from the wallet. The node seed dumps his addresses to the client. Testnet is the new platform for testing. Livenet is optical blockchain visualization where you can see the real time Bitcore Blockchain with 3D animation. Livenet displays any block and any TXID in different sizes. The idea is to visually put the Bitcore blockchain for educational purpose. Let’s look at a few points of these in some details. Send payments is equal to sending a direct message — A DropCoin platform allows users to send Bitcore for any way they can share it on any service (Email, Facebook, Dropbox, Twitter, WhatsApp, and Telegram etc.) or any chat, even without having any technical knowledge of cryptocurrency. The focus behind this is to reach no coiner or user they don’t have a wallet in first. To share small amounts and for everyday uses of Bitcore BTX, TSBW service is created by Bitcore Team. TSBW is a very simple wallet to access your wallet with your wallet passphrase or to use it to redeem coins from a known private key without install a local wallet. No data is stored on the Server! Anyone who plans on holding Bitcore for more than a few months should consider pulling their BTX out of the exchange wallet they’re currently stored in and getting them into cold storage named Bitcore Paper Wallet, which is completely offline, and nearly 90% safe and secure. You can use the free web services (https://bitcore.cc/paper/) that generate the printable BTX paper wallet for you. Games4Coins is a platform that you can purchase Steam product keys. Buying a game on Games4Coins is really simple. Once you have selected a game, you can quickly and securely pay. Moreover, as a crypto, they accept only Bitcore. We are happy to announce strong partnerships with Kaze Blockchain Solutions. Bitcore BTX has been listed on six new exchanges. These are other great steps towards huge adoption, buying, selling and using BTX for real-live purchases becomes easier every week. 6- Bitexlive TRY pair activated; for Turkish bitcorers, Bitexlive activated TRY option to trade. 1- It is a pleasure to participate in these new articles published in Q3 period. After months of work, thanks to Carlos as the designer and moderator, Official Bitcore Reddit page started broadcasting. This is the place to meet and discuss the BTX. Feel free to share all the news from BTX. How to use Bitcore on BarterDEX (Komodo decentralized exchange). Here is a tutorial video made by an active member of the community, to see the use of BarterDex with Bitcore BTX. Jaxx Liberty builds on the success of Jaxx which is one of the leading companies in the Cryptocurrency sector with more than 5 years of experience, one of the most popular blockchain and cryptocurrency wallets, used by millions. We are proud to declare this new partnership that Bitcore is listed in Jaxx Liberty. Enjoy the new ZelCore mobile multi wallet hosting Bitcore. You can now use easily your BTX in your iOS or android devices having one greater e-wallet choice. We are proud to present to you the Electrum wallet (portable version) for Bitcore BTX. Please note that this wallet only supports the new public key format. The following mining pools detected for Bitcore. Happy Mining! 1- NBitcoin – NBitcoin is the most complete Bitcoin/altcoin C# library for the .NET platform. It implements all most relevant Bitcoin Improvement Proposals (BIPs). 2- Pycoin – Python-based Bitcoin and alt-coin utility library. 4- Awesome list – A collection of awesome Bitcore BTX resources.